Simply put, composting is nature's way of recycling organic matter. It's the decomposition of natural solid waste into compost, a highly nutritious fertilizer used in gardening, landscaping, horticulture, and agriculture. Most modern organic composting techniques are "controlled", meaning that humans organize the process as opposed to nature. Controlled composting typically involves the systematic blending of 3 essential elements in order to create high-quality compost: carbon (from brown waste), nitrogen (from food waste), and oxygen (air!). Another type of composting, vermicomposting, makes use of the wondrous digestive tracts of worms to break down organic matter. The final product, vermicast (or worm castings), is incredibly rich in nutrients. The Texas Worm Ranch (in Lake Highlands) is an amazing place to learn more about vermicomposting right here in Dallas-Fort Worth. 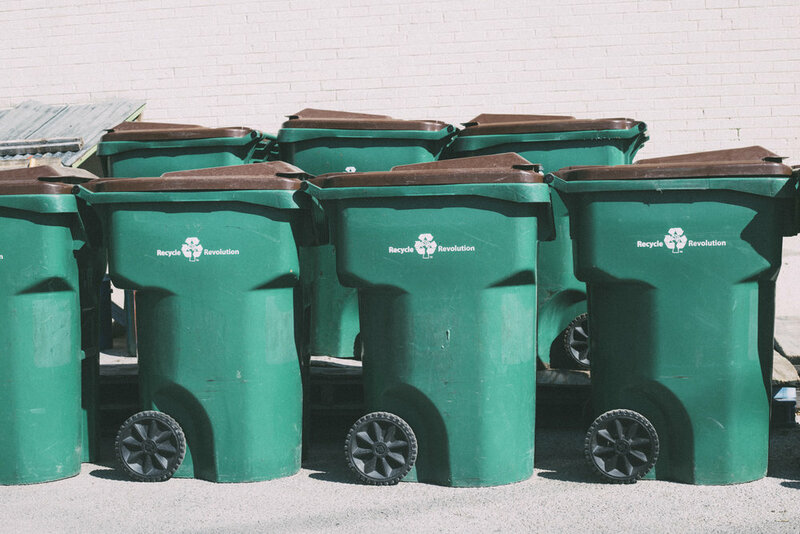 Like other recycling activities, making use of our discarded food products is good for our economy, environment, and community right here in North Texas. Composting creates exponentially more jobs than landfilling, prevents degradation of local natural resources, and provides us with a natural and highly nutritious alternative to chemical fertilizers, which helps our community stay healthy. RR has been delivering contaminant-free food waste (i.e. hot, fresh nitrogen!) to local organic composting operations since 2011. Today, we are the leading collector of post-consumer food waste in North Texas, diverting close to 150 tons per month from local landfills. The food we collect is delivered to local, certified-Organic facilities, where it's often blended with carbon-based bulking agents (including recycled wooden crates & pallets) to create high-quality, nutrient-dense compost. That compost is brought to market by local retailers and landscapers, eventually making its way into our North Texas yards, gardens, and highway landscapes. For more information about our food waste collection program, including a list of the materials we can accept, click here. To contact us, call 214.566.3025 or click here.